I’m looking forward to attending the 2018 IndieWebCamp. It’s a small 2-day event happening in Portland and is exploring the topics of independent web hosting and technologies to knit them together. If you’re in Portland, you should attend too! Here is a link to the presentation materials for my talk, Introduction to Linux Containers. Press ‘c’ to see the presenter console for the slides. Here is the presentation material for my talk entitled The Dark Arts of SSH. Please note this is a single HTML rendering that incldues presenter’s notes. As promised to my audience, here are the slides from my presentation titled Building your First Linux Kernel. 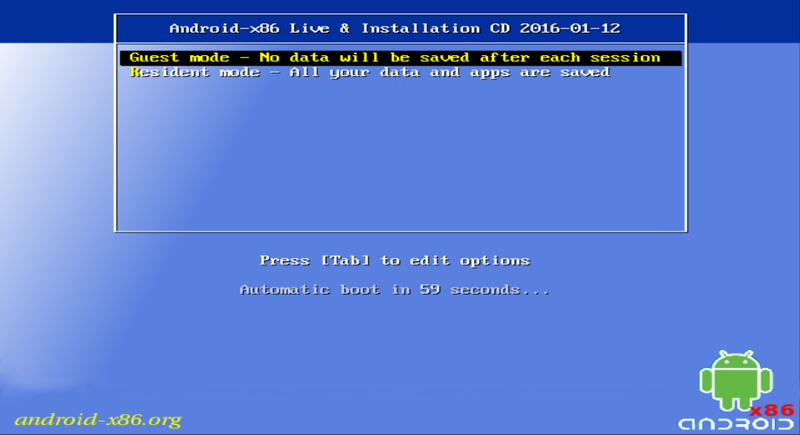 After initially running RemixOS, the new Android build for PCs, I decided that I would rather play with booting it natively from my SSD instead of from a USB device. Performance should be better, it would free my USB thumb drive up for other duties, and it would make booting more convenient. This turned out to be a relatively simple operation. What follows is my methodology for doing that. 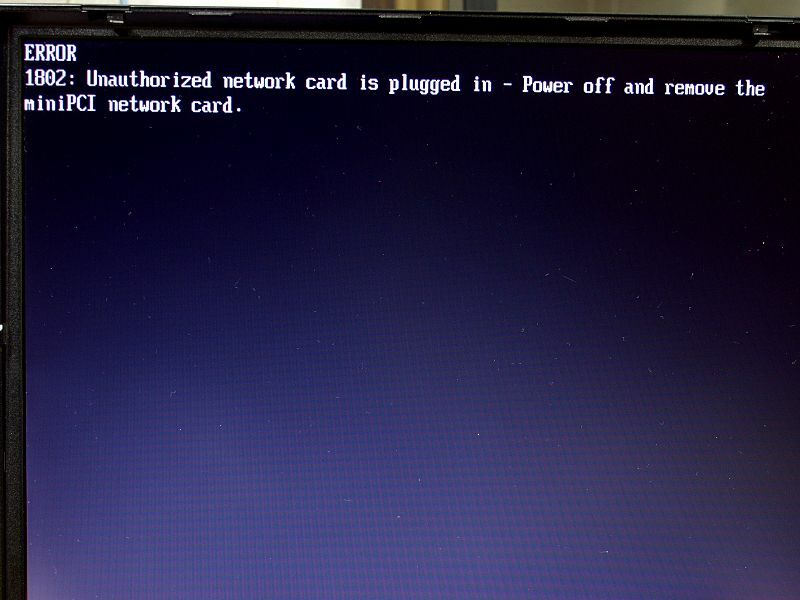 Please note that these instructions assume you are running Linux. I’ve always been one for trying out new operating systems, so when I heard news about the latest desktop-conversion effort from Jide I wanted to give it a try. RemixOS is a proprietary offering based on the work of android-x86, which aims to bring the stock Android experience to commodity PCs. RemixOS adds on interface and convenience changes to make the operating system more usable on PC hardware. This includes UI changes such as multi-windows and a classic ‘desktop’. It is with a heavy heart that I’m announcing the resignation of my position at Mozilla. Last month marked my 5th year here, and over that time I’ve met some of the most intelligent and driven people in the world. I’m proud to have known you and worked alongside you these years. As part of my ongoing work I’ve been measuring the size and depth of mozilla-central to extrapolate future repository size for scaling purposes. Part of this was figuring out some details such as average file size, distribution of types of files, and on-disk working copy size versus repository size. 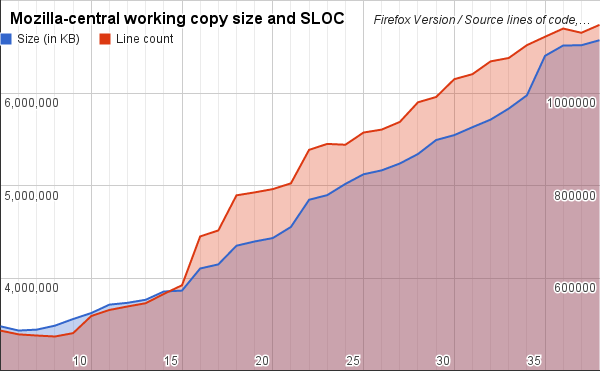 When I posted a graph comparing the size of the mozilla-central repository by Firefox version my colleague gszorc was quick to point out that the 4k blocksize of the filesystem meant that the on-disk size of a working copy might not accurately reflect the true size of the repository. I considered this and compared the working copy size (with blocksize =1) to the typical 4k blocksize. This is the result. As part of my recent duties I’ve been looking at trends in Mozilla’s monolithic source code repository mozilla-central. As we’re investigating growth patterns and scalability I thought it would be useful to get metrics about the size of the repositories over time, and in what ways it changes. It should be noted that the sizes are for all of mozilla-central, which is Firefox and several other Mozilla products. I chose Firefox versions as they are useful historical points. As of this posting (2015-02-06) version 36 is Beta, 37 is Aurora, and 38 is tip of mozilla-central. My teammate Gregory Szorc has reminded me that since this size is based off a working copy, it is not necessarily accurate as stored in Mercurial. Since most of our files are under 4k bytes they will use up more space (4k) when in a working copy. From this we can see a few things. The line count scales linearly with the size of a working copy. Except at the beginning, where it was about half the ratio until about Firefox version 18. I haven’t investigated why this is, although my initial suspicion is that it might be caused by there being more image glyphs or other binary data compared to the amount of source code. Also interesting is that Firefox 5 is about 3.4 million lines of code while Firefox 35 is almost exactly 6.6 million lines. That’s almost a doubling in the amount of source code comprising mozilla-central. For reference, Firefox 5 was released around 2011/06/21 and Firefox 35 was released on 1/13/2015. That’s about two and a half years of development to double the codebase. If I had graphed back to Firefox 1.5 I am confident that we would see an increasing rate at which code is being committed. You can almost begin to see it by comparing the difference between v5 and v15 to v20 and v30. I’d like to continue my research into how the code is evolving, where exactly the large size growth came from between v34 and v35, and some other interesting statistics about how individual files evolve in terms of size, additions/removals per version, and which areas show the greatest change between versions. If you’re interested in the raw data collected to make this graph, feel free to take a look at this spreadsheet. The source lines of code count was generated using David A. Wheeler’s SLOCCount.